App Crashing?|OS Updates Causing Problems?|Can't Maintain Your App?|We Do It All. If your business has invested in creating an app but lack the expertise to maintain it, we can help you! Guaranteed. We specialize in maintaining your app for bugs, crashes, OS updates and all the other things that create problems for mobile applications. There are billions of mobile applications on the app store. Don't lose out on servicing your customers by letting your app get stale. Subscribe to learn Tips for Mobile Apps. "We invested a lot into this app and we have failed to maintain it because it takes too much time." You spent a lot of time developing your app and most likely working with an agency to get it done. Yes, the app was probably a complementary service to your customers and not your core business, but your customers deserve a functioning app, right? If you managed the project, you realize that getting the app to an App Store is merely the beginning. The downside of apps, is after users start using the application. This is where the bug fixes and crashes begin: Crashes upon launch. Keyboard gets stuck. Social Media SDKs have been updated, and so on. You're not alone. This is how it works. Apps are unpredictable (to an extent) and you just need to be prepared for things to pop up. Hoping everything will go smoothly is not a strategy. Stay Focused On Your Business! Not on Maintaining an App! Maybe you had a great experience with your agency and you want to keep working with them. But agencies don't focus on preventative maintenance. They are reactionary. Your app and customers deserve proactive, quick, continuous and results oriented improvements. Your in-house teams are already busy at work. Sourcing engineers each time your app crashes is no solution. Hiring a full time mobile app developer to work on the app isn't the best use of your investment either. You outsourced the development of the application because App Development is not your core business, right? If you have developers, they're busy working on core products for your business, not focused on mobile applications. Now that the application has been developed, it's probably hard to get a return phone call now that it's been paid for. We were stuck, and Mobile App Warranty helped us get better reviews by fixing things that came up after our release. Things happen fast with a mobile app. You now get negative reviews, and the support requests are piling up. Now, with just a few bugs, your app looks like a huge liability. It's your responsibilty to keep it going. Now what? Utilize in-house resources to put other projects on hold to address bugs? More than likely, these resources are better used and true business products, not the mobile versions of these products. Hire from elance or craiglist? Sure, and then you have to hire someone else to fix those issues, deal with time zones you've never imagined, and disappearing workers when it's over their competency. Hire an in-house developer for mobile only? The expense here is more than what most business can handle to dedicate one engineer to mobile only projects. Remove this burden from your worries. You need a team who can provide solutions to all these headaches in a service effectively, efficiently, and reliably. Without having to hire an in-house developer. Without taking in-house resources off core projects. Without fighting with the original developers. Manage the application's needs to stay running healthy--just like your car. We were really impressed by the quality and the speed of the work. Vlad was really part of the team since the kickstart of the project. It was a pleasure to work with him. And it was probably not the last time. Over time, your app will be scrubbed clean of bugs, errors, forgotten tweaks until your app is an asset and no longer a liability. Now you can focus on your next iteration and new functionality rather than fixing original work. Mobile App Warranty is your trusted resource for mobile app maintenance. Mobile App Warranty is your protection against a dying app in the AppStore or Google Play. You go to the doctor for a physcial. You take you car in for servicing. Your app deserves no less. After all, it's an investment! As a Mobile App Warranty holder, we take on all aspects of your app's required maintenance. We're available to discuss your app through a free consultation. Your app's vitals are important. We scrub your app clean of bugs whether it's app crashes, moved APIs, updates for new devices and the like. Have content changes? Need updates on some graphics? Want to add a share button? Small updates are available with your warranty. Upcoming OS changes are headaches for apps. We monitor releases so that your app is primed and ready to be released seamlessly with new updates. We've worked with apps for years. We know strategies to help your App Store listing filled with great keywords, screenshots and more. Leave it to us to polish your iTunes listing to ensure the best representation of your app. Most apps integrate with other services like Facebook, Twitter, etc. We watch these APIs closely to know upcoming changes so your app doesn't get left behind when changes are made. We are a team from Silicon Valley that prides ourselves in underpromising and overdelivering. We guarantee your satisfaction, and if you're not satisfied, we won't charge you. How's that for a warranty?! I cannot recommend App Warranty more for anyone who's invested into creating an app for their business and simply don't have the time to manage it. It's been a blessing to know it's being taken care of. Since using App Warranty, we don't have to spend time answering support mails anymore regarding our broken app! We keep your app running smoothly and bug free with unlimited bug fixes! Never worry again about your app's wellbeing! Thanks for asking! This service has a limited space at our intial pricing which will be determined during our consultation. We won't be able to keep it at this price for long, but you will be grandfathered into the warranty you came in on for as long as you work with us. 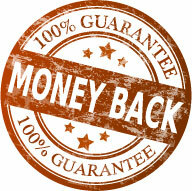 We accept all major credit cards and offer a risk-free, 30-day money back guarantee. What do you have to lose? If you're not amazed at how your app starts running flawlessly after we get our hands on it, then no hard feelings. Simply enter your information below, and we will contact you to discuss how we can help your mobile app during our free consultation. Remember, this is a free consultation, with no obligation to buy. We just want to reach out and see how we can help, and you'll probably learn some valuable tips for free anyway! We'll be in contact to schedule your FREE Consultation regarding your App. BTW, this is risk free. You can sign up, try our service for 30 days and if you don't see how valuable our service is, you can get a full refund. Have any questions about our service before you sign up? Check out the FAQs below! Q. What exactly are 'small fixes' and 'unlimited bugs'? The warranty service is to fix any bugs and crashes that occur due to either initial programming or because of integration changes that end up breaking the app. Really anything that we see that we can ultimately improve your app incrementally month-to-month is the goal. If you have any specifics, we are always available to discuss. Q. When you say any bug or any crash, do you really mean ANY bug? Well, of course there may be something that's so deep in the app that only rewriting the entire app is the fix! But on the whole, we'd be confident in saying about 95% of bugs and crashes are fixable. Q. Can I use your free email app tips to train my in-house staff to maintain the app? Yes! That's what we do--we are your 'out-house' staff, so if you already have an in-house staff that is willing to commit and maintain the app, then you should not sign up for our service, but just for our free email tips. Q. Are there any discounts for your service? The introductory rate of $999 is well below market for the work we will be doing consistently for your app. This price will go up as we grow, and only this price will be locked in for our initial customers. Q. Our app is not yet in an app store. Can we start with you anyway? Great question! Yes! While you aren't yet in 'maintenance mode', you are at a very tedious point in which we can offer our expertise, strategic vision for you app's release, as well as your app profile and can help with producing all the assets and provisioning certificates required for an app release. Q. We have our own in-house team of developers working on our mobile app. Should we start your Mobile App Warranty to help? No, not really. Unless your in-house team does not have the time to focus on the mobile app because they are developing other apps. Ultimately, we are a service for companies who have outsourced their development and are losing out on maintaining the app due to agency costs that take advantage of companies stuck without support. Q. Will you sign an NDA? We can for sure, if it's a standard NDA. Code that we improve upon is yours to keep. Q. When I cancel, do I get everything back? Of course! All code and integrations that have been improved by us is yours to keep. Q. Can we be invoiced and pay by check? Yes, but only for a semi-annual contract. You'll be invoiced for the first 6 months, and then for the second 6 months and so on. Copyright 2015 Mobile App Warranty | All Rights Reserved.